As with all transmission through the radio spectrum, Amateur Radio is subject to regulation. It is officially designated in Canada as the Amateur Radio Service and is regulated and administered by the federal government through Industry Canada. Radio Amateurs are required to demonstrate technical and regulatory knowledge and obtain an Industry Canada issued license with a distinctive call sign before engaging in on-air transmission. Morse code capability is also required for advanced certification. 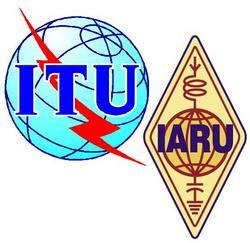 Worldwide coordination of Amateur Radio activity is conducted through the IARU (International Amateur Radio Union) and global regulation through the ITU (International Telecommunications Union). Canada also has reciprocal agreements permitting Amateur Radio operation in other countries. Regulations are subject to change and Radio Amateurs are encouraged to maintain knowledge of IC regulations to ensure compliance. Click here to view Innovation, Science and Economic Development Canada regulations and circulars.